(noun) A light vehicle having two wheels one behind the other. It is propelled by the action of a rider’s feet upon pedals. Example: I want to ride my bicycle. Example: I need to change the brake blocks on my rear brakes. 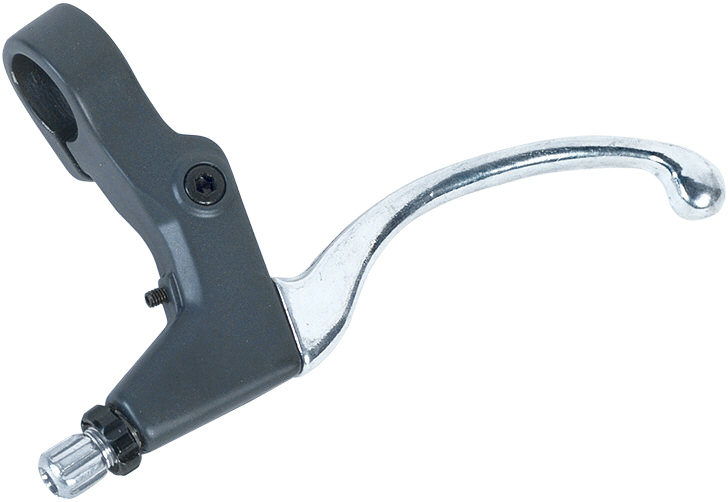 (noun) The lever on the handlebars of a bicycle which operates a brake. Example: Max squeezed the break lever to slow down. (noun) A series of interconnected rings or links usually made of metal. Example: The chain on my bicycle needs to be tightened a little. 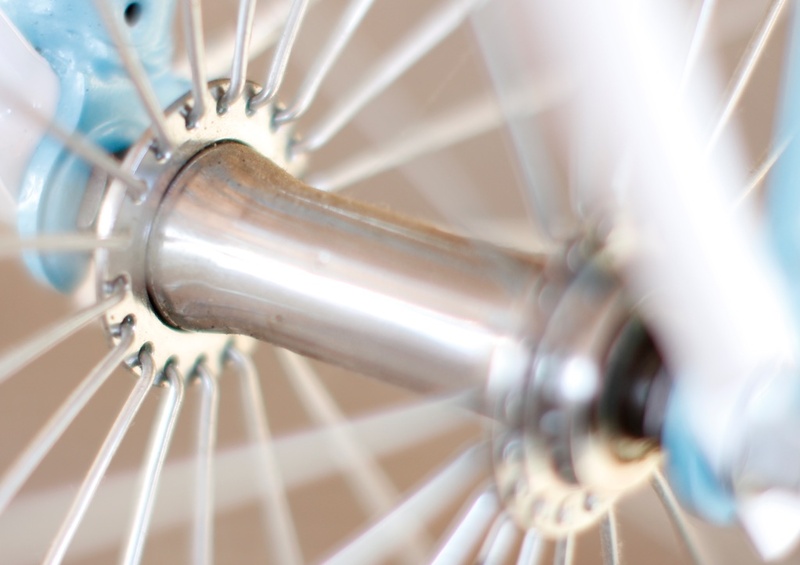 (noun) An arm which connects the bottom bracket axle to the pedals. (noun) The part of a bicycle consisting of two blades which are joined at the top by a fork crown. 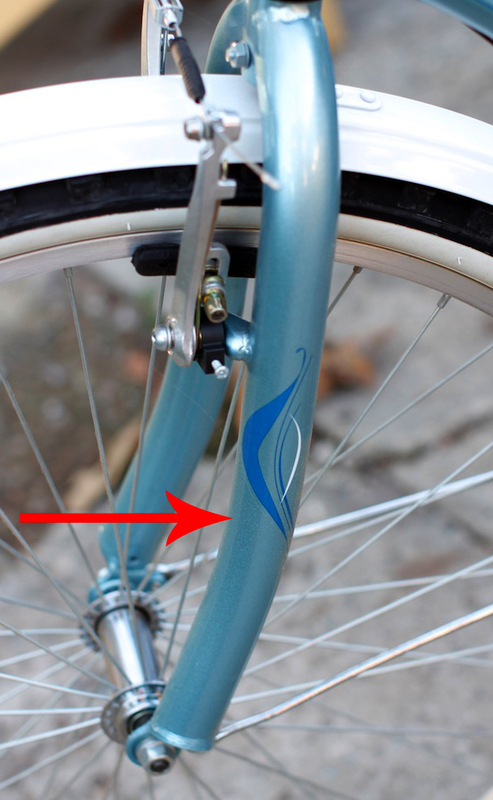 The fork holds the front wheel and allows the rider to steer and balance the bicycle. Example: Max bent his fork when he ran into the car. (noun) A protective head covering. 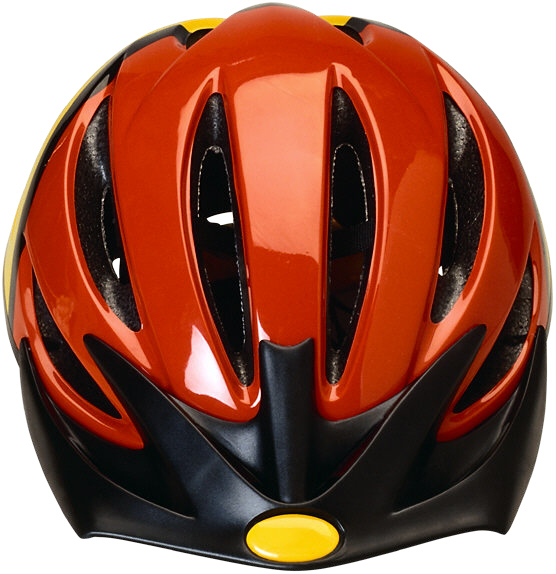 Example: Max doesn't like to wear a helmet. (noun) The central part of a wheel. (noun) A lever operated by one's foot that is used to control a machine or mechanism, such as a bicycle or piano. 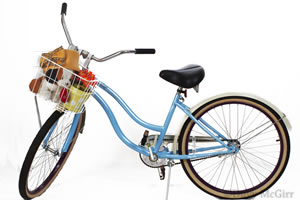 Example: A bicycle has two pedals. 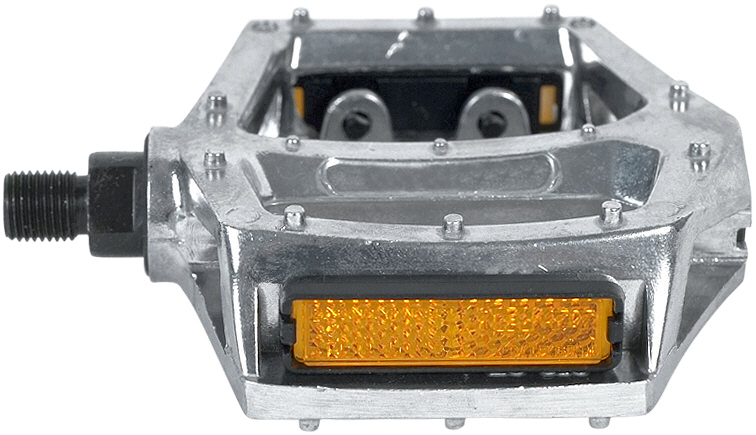 (noun) A device which reflects light to make the bicycle evident when the illuminated by headlights of vehicles. 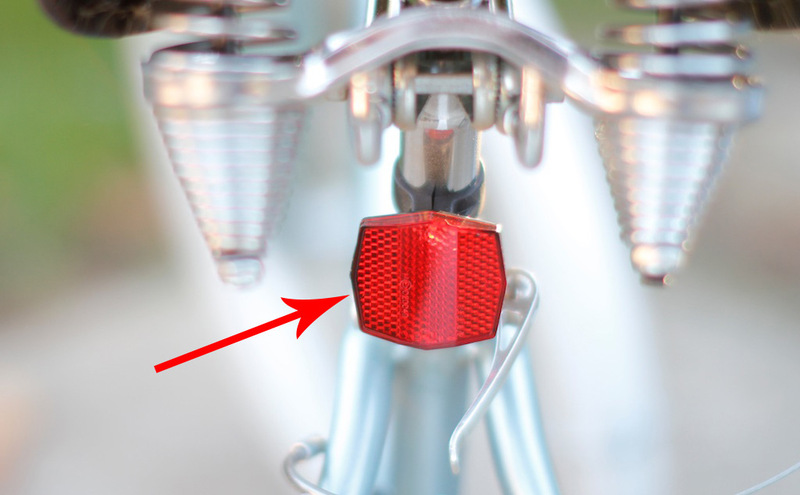 Example: Many cyclists dislike having reflectors mounted on their bicycles. (noun) The seat of a bicycle (also called a seat). Example: Many cyclists climb hills out of the saddle. 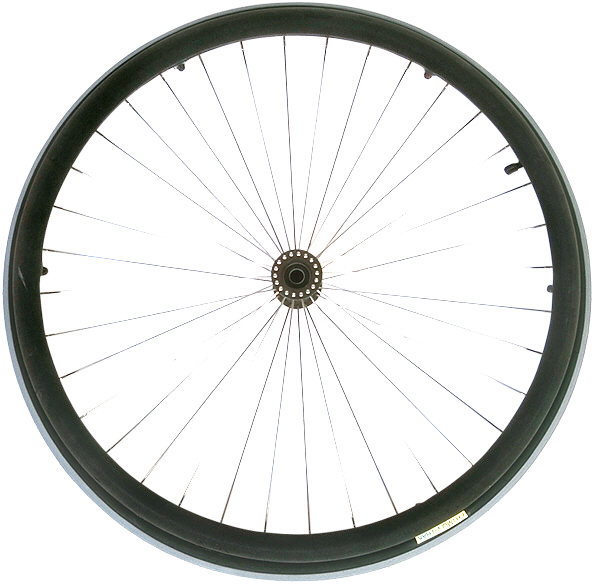 (noun) A tube that extends upwards from the bicycle frame to the saddle. 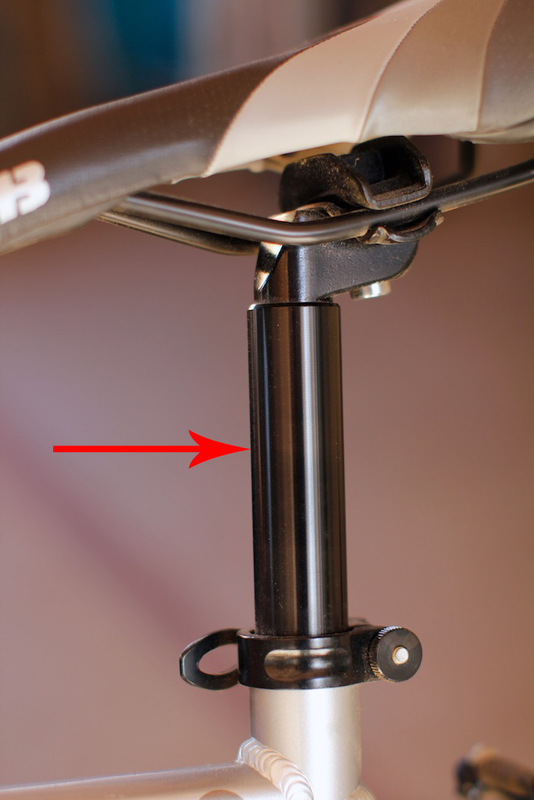 Example: Max adjusted his seatpost. 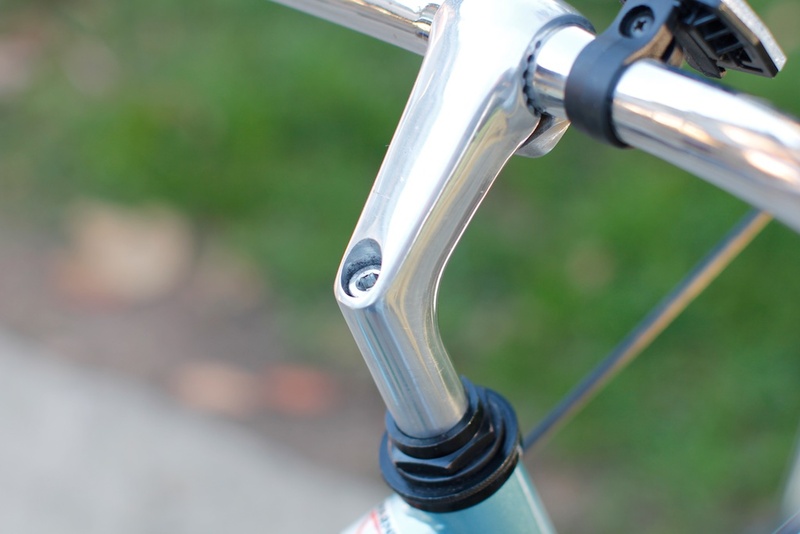 (noun) A bracket used to attach handlebars to the steering tube of a fork (sometimes called a goose neck). 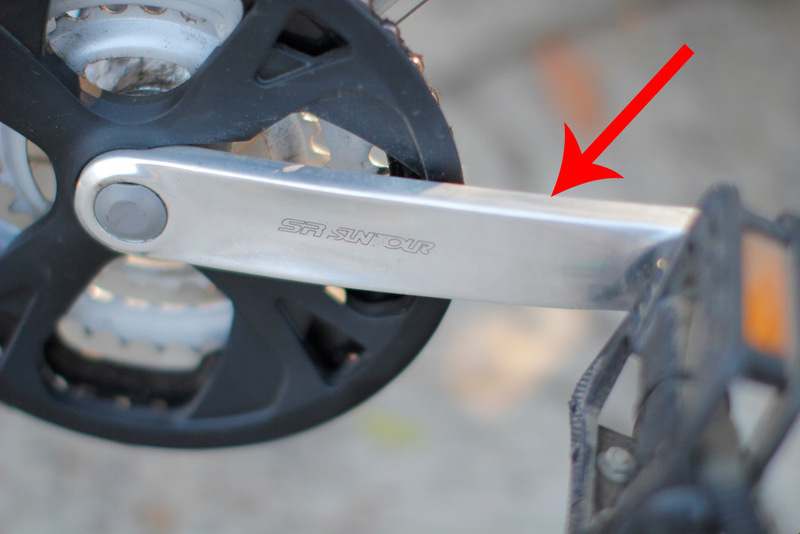 Example: If your handlebars seem loose, you may want to tighten the stem a bit. (noun) The rubber covering on a wheel. Example: Max bought some new tires for his mountain bike. 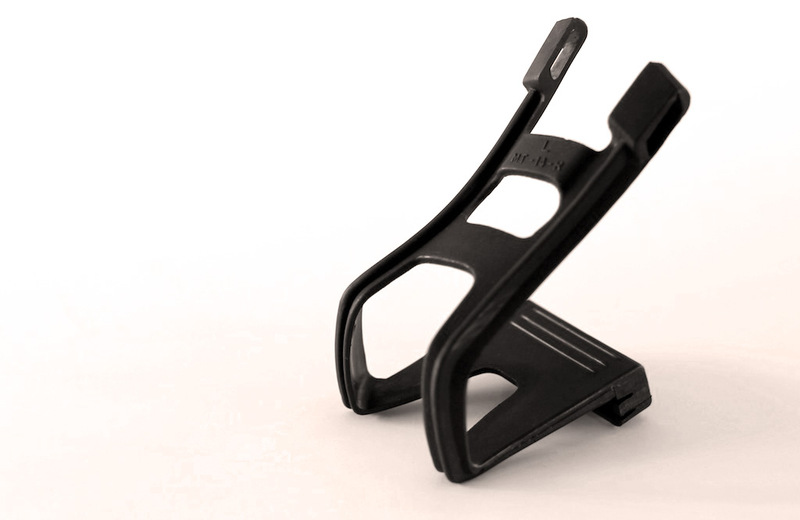 (noun) A clip on a bicycle pedal to prevent the foot from slipping. 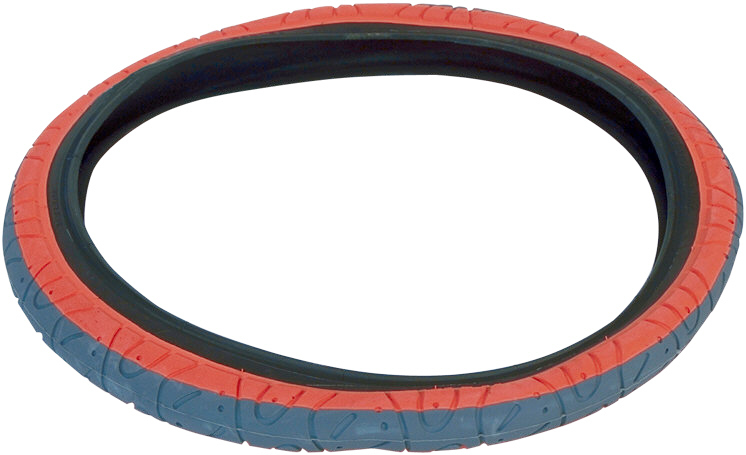 Example: Toe clips allow Max to climb hills faster. (noun) The rubber on the circumference of a tire that makes contact with the road or ground. 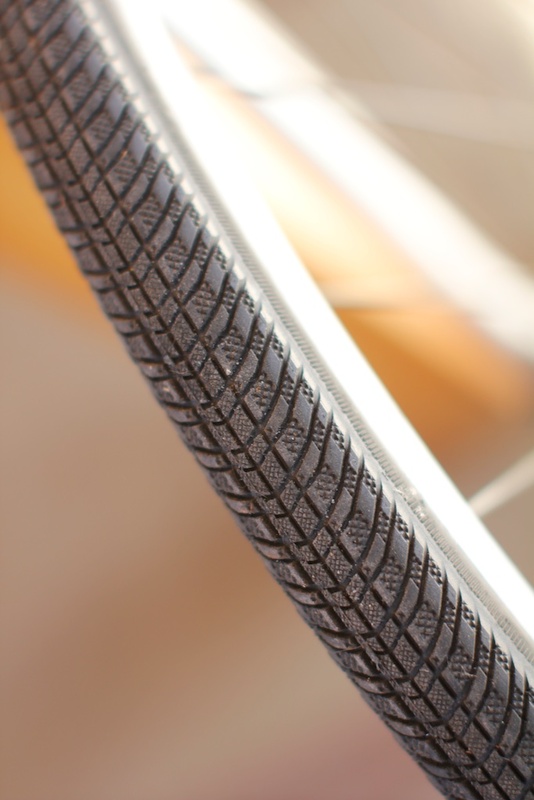 Often the tread is made of a pattern of grooves designed to add traction. Example: Max wants to buy a new tire because the tread on it is worn out. (noun) A port for adding or releasing air from the inner tube. 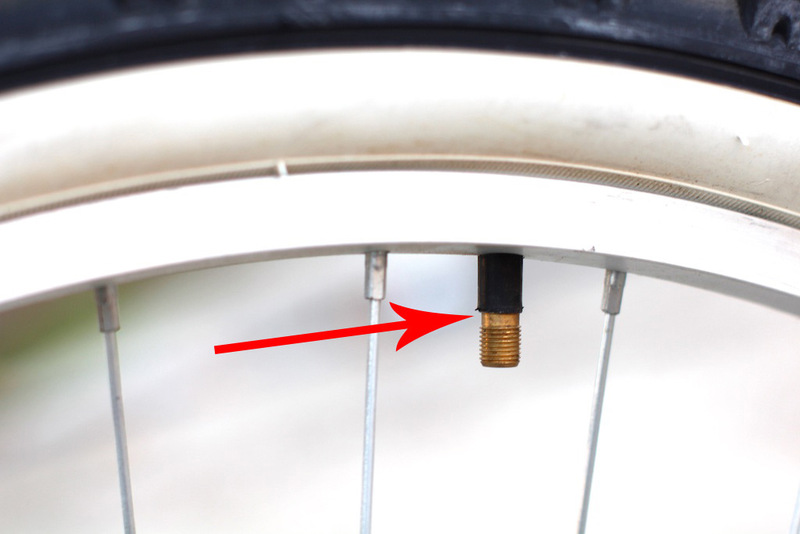 Example: I need to get an adapter for the type of valve stem on my bicycle. (noun) A solid disk or a ring connected by spokes to a hub, designed to rotate on an axle passed through the center. 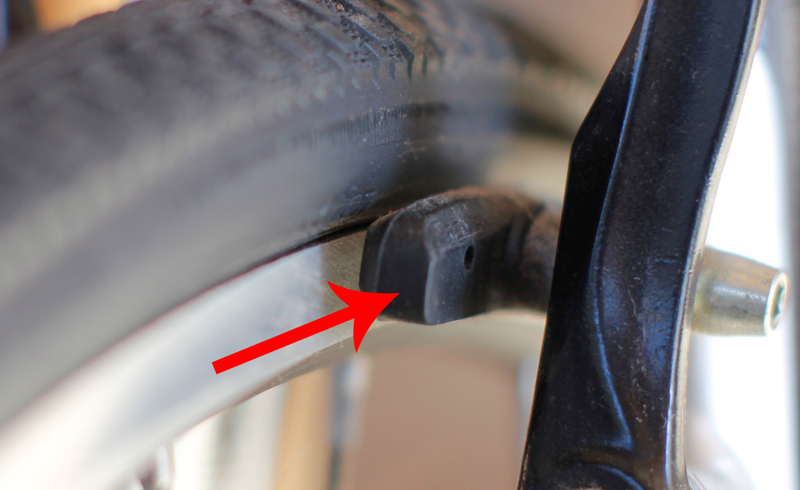 Example: Max bent his front wheel when he ran into the parked car.